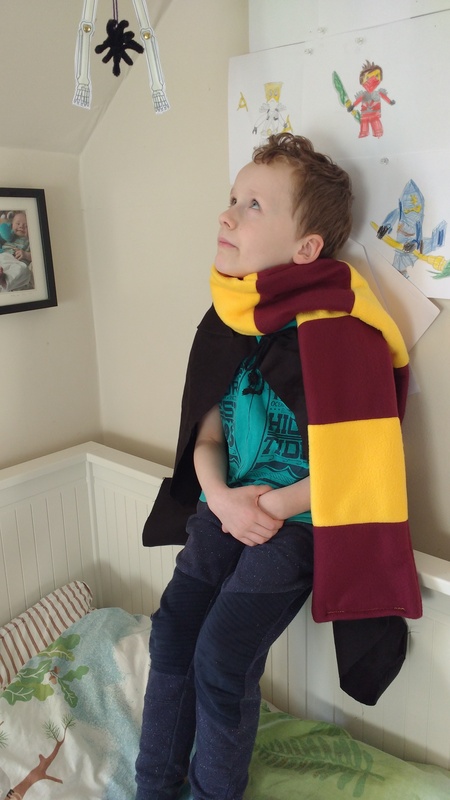 And so to Halloween… Medium child is obsessed by all things Potter and was very motivated to make a Gryffindor scarf and we based one roughly around this kind of thing. 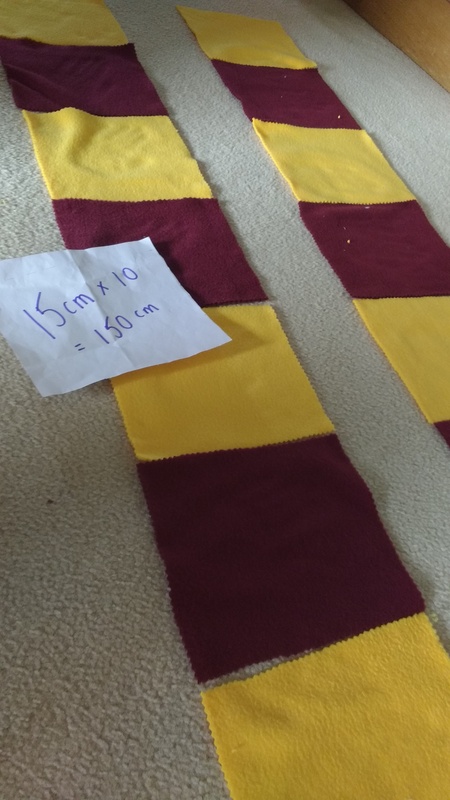 We used ten, 15cm rectangles in alternating colours for each of front and back, sewn together, seams pressed out with care because of the fleece, front and back sewn together, turned through, and ends folded inside and zigzagged. 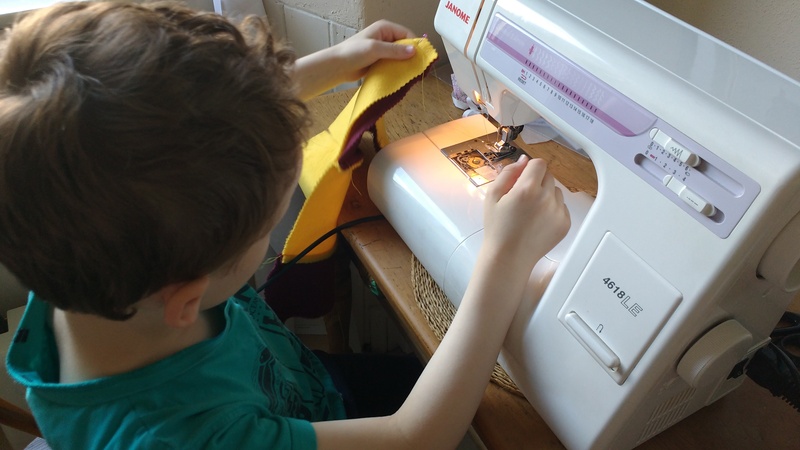 While I did the sewing together of front and back as handling of the vertical seams is needed and there is a lot of length, sewing together the rectangles was a perfect job for a child, with just a little bit of support with forward and back and keeping everything straight as you run out of fabric. I found it helped to put a piece of of masking tape on the plate as a guide (to where the edge of the fabric should line up) as the seam guide on the machine is not easy to read for a little ‘un. 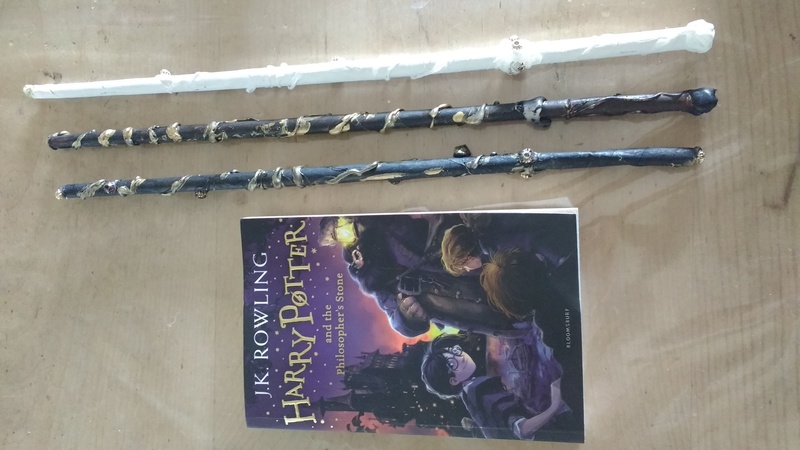 Speaking of Potter, we also tried making wands using this tutorial, made from rolled paper and a hot glue gun to dribble on the detail, so fun but too hot for wee ones to do by themselves. 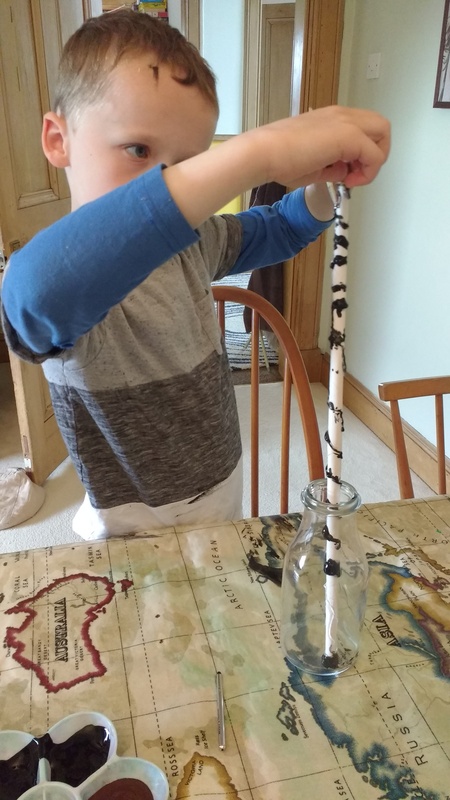 Layers of paint and varnish (PVA plus a little water) create the effect of age while they would, handily, be unlikely to take out anyone’s eye during excitable spell-casting.